This week, with the Summer holidays well underway and the weather heating up, it seemed the perfect time for The Past Present to share this beautiful photograph. 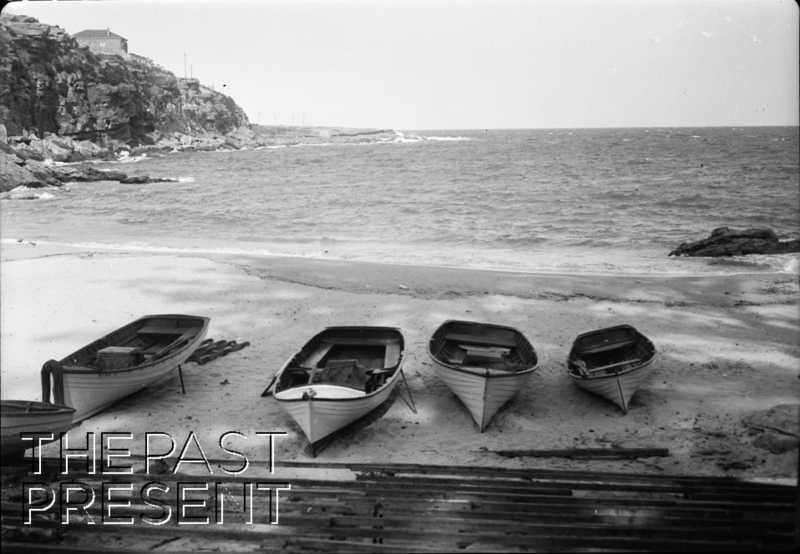 It is from the collection of photographs of an unknown photographer and was taken circa 1936, but it a crisp, clear glimpse into what has long been a popular pastime – boating on Sydney Harbour. Recreational sailing, and boating in general, was in large part a by-product of Sydney’s role as a working harbour. In fact, in the 19th century some of the earliest races were organised by the captains and crews of visiting ships. They would race the smaller skiffs which large boats carried against crews from other visiting ships, and in time some of the ships even carried a specific racing boat! Over time, regattas became popular as public events with onlookers lining the shore or crowding the harbour with small vessels to watch the races. From 1837 onwards there was even an annual regatta to celebrate the anniversary of the colony’s founding. As time went by, people began to recognise the potential of hiring out boats and boat sheds with boats for hire began to appear around the harbour, and indeed on other popular waterways. Today, boating on Sydney Harbour remains very popular with boats able to be hired from a number of locations. This entry was posted in New South Wales, Sydney and tagged 1930s, black and white, entertainment, leisure, photographic collection, sydney, sydney harbour, tourism, transport.